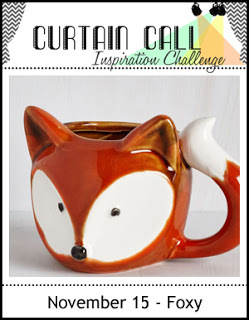 Thank you so much for joining us for the Curtain Call Inspiration Challenge - Foxy! "I adored Emily's card. Her fox image is tooo, too cute. 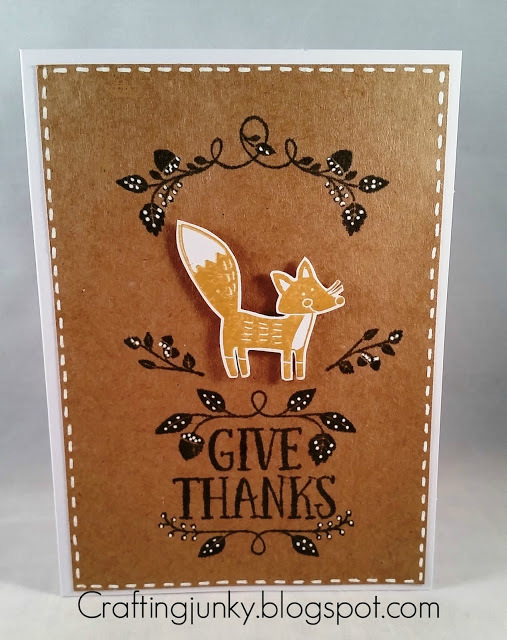 The coloring and background is fabulous and the card design is sweet with the touch of vellum for the sentiment." 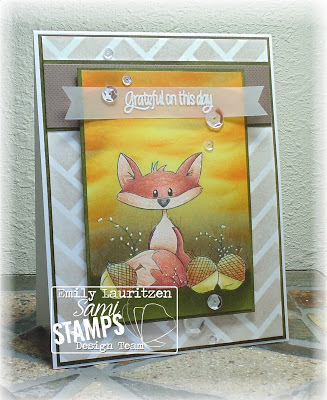 " I love both the stenciling and the gorgeous sunset background on Emily's card. Amazing coloring!" " I love how Celeste framed her sweet fox with the leaf flourishes and sentiment." 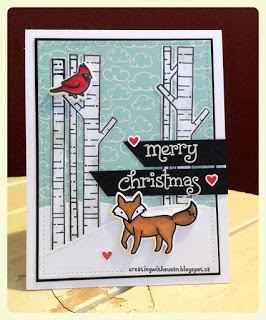 " I love the sweet Christmas scene with the fox and the cardinal. The sentiment on black and the trio of hearts are great touches." Thank you for selecting my card! I really appreciate that!